Booksellers, please contact a sales representative for catalogs and information on special trade offers. Credit Terms: Net 30 days with credit approval. Credit application available here. Please note that the credit application process takes 2 weeks on average. Overstock Returns (returnable accounts only): No cash refunds – credit only. No permission required, but all returns must be accompanied by invoice information (invoice # and date). We will not accept returns within 90 days of invoice (except for author event orders), and full credit is given for books that are in print and returned within 2 years from the date of invoice. Returns will be denied on books that have been declared OP/OSI for 6 months or that are in unsalable condition. Damaged Returns: All damaged books (and short shipments) must be reported within 30 days of receipt for full credit. Returns shipped to the corporate office in White River Junction, VT will incur a $25 freight forwarding charge. For wholesale orders in these territories, please contact the appropriate Chelsea Green distributor. If you are not in one of the regions listed below, please call us at +1 802 295 6300. We’ll be happy to take your international order over the phone. Our hours are 9AM to 5PM EST. 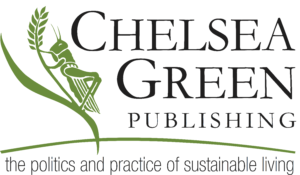 If you are a retailer having difficulty sourcing our books overseas, or an international distributor interested in wholesaling Chelsea Green titles, please contact trade sales manager Michael Weaver.